This Gull was actually waving me over with his wing. Well, this week wraps up with a round of applause and thanksgivings! Yesterday, I sat in my car (Brrrr, chilly!) by the water in Wickford, Rhode Island with a cup of Starbucks coffee, gathering my thoughts before returning to school, to cover my daughter’s teacher’s lunch time. I took some pictures (naturally) and dribbled coffee down the front of my creamy, white, turtleneck sweater (also, naturally) before I headed back to help out in the classroom. It had been one of those precious mornings, where you are getting ready to do something good and it all gets really ugly before you head out the door. Kind of like Sundays, getting everyone ready for church. You get the idea. I backed out of my driveway, as the coffee cup spilled into the back seat, while some maniac (I remind myself that Jesus loves that maniac) almost runs me off the road- so Mr. Magoo! “Roadhog”! Of course, I was off to lead my Moms In Touch group- naturally and running late. Shocking! During the group time, I realize we (our family) have accidentally overlooked a school event and now are double booked Friday night – to be in two places at the same time. While still in the school and realizing the umpteen things that need to get done when I return home, my daughter approaches me in the hall. Did I say approach? I meant assaults. She assaults me in the hall, thrusting a hand copied birthday invitation at me, as I am heading to her classroom, informing me of her strong desire to attend said birthday. It is her classmate’s three year old brother. “When?”, I ask. “Today.”, she says. I scurry to the front desk for Motrin. Luckily I am encouraged greatly by the wisdom and sensibility of the moms there. I also get the needed Motrin for the instant headache visitation. As I am in my daughter’s classroom, she asks if she can go to Midnight opening of “Breaking Dawn”. Headache becomes, nauseousness. She also presses me about the birthday party which starts at 4. I say the word that “should not be spoken” in the eyes of all children. No and No. Twice, I said it. I am on the receiving end of icy glares for the rest of my time there. Thankfully, the Motrin has kicked in, and the teacher returns, I am released to the duties of the rest of the day. I return home, walk the dogs, grab a bite and get ready to tackle the To Do List. 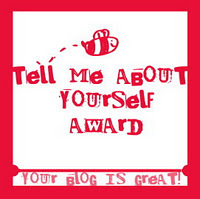 I am pleasantly surprised when I see a fellow blogging sister has included me for a blog award. A pleasant diversion from the day. I get ready for more errands after writing my Giving Thanks Challenge Post. I am blessed greatly once again by our school community – truly these moms give me hope! One of the mom’s who lives nearby is willing to take my girl along with her daughter to the PJ- Movie Night (Soul Surfer) at her school. Now let me tell you how thankful I am for a few, non-judgemental, encouraging, compassionate moms out there. Thank you, God! They get it. Really they do. It makes up for…well you know what I mean. Not going there. So, in the end, although it was a yuckiesh day. I was greatly encouraged and felt God’s gentle pat on my backside, reminding me, “No worries, I am here.”…and that presence makes a yucky day so much easier to take, in the end. I am supposed to tell a few things about myself…like I just didn’t give you TMI, already! 1. I take my camera everywhere. This terrifies even my closest friends. 2. I love being alone AND I love being with people. 3. I hardly watch TV, but do so with my hub as he loves it. 4. I love music with no words because my mind is always going with ideas and all kinds of nonsense. Classical & Jazz are cool. 5. I have loved to write since childhood. Aside of Jesus Christ it is my greatest consuming passion. 6. I love to sit still AND yet I love activity. 7. I don’t like to sleep because it seems like a rip-off. 6-8 hours of doing nothing. That’s a problem for me. 8. My Two favorite movies are “The Lord of The Rings” and “The Sound of Music”. Oh, and “Fiddler on The Roof” AND Star Wars. 9. I love to read but I am the slowest reader on the planet. 10. My mind is faster than a speeding bullet…in taffy. And I have the gift of ADHD. 11. I love kids. And older folks. 12. Coffee enhances my personality and helps me focus. Suzie at Recovering Church Lady – She rocks and we are of the same spiritual mind- under construction by Him! Denise at Refine Me– Denise was one of the first blogs I found and she has been a wonderful bloggy role model as well as gracious commenter and writer in her own right. Lois at Walking on Sunshine– I just feel like there is hope for me yet to cook thanks to her cooking step by step instructions and sharing her life with the Colonel over in her neck of the Blogosphere! These women rock and I am thankful to God for them! PS. 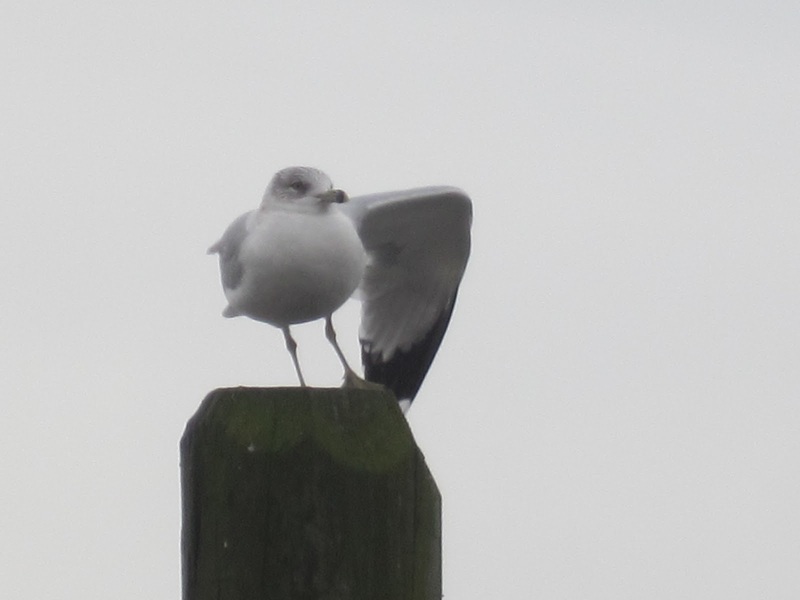 There are more pics of the waving gull…not waving over on my Facebook Page! Go like that page right now, please AND thank you! Previous Mask or Armour? Next Let’s Hear it For The Boys! Hey thanks for the blog award! I came to read you this morning because I have LOVED every post of yours since discovering you not long ago and lo and behold (wow, there's a grandma phrase) you have given me an award! Thanks!And yes we are very much alike!! Hey Dawn, had to come over for a visit and tell you 'thanks for leaving your comment at my blog and following' and YES girl, go for the interviews, it will encourage and inspire everyone, we can learn from each other! Love your blog! Great post! Glad to know I'm not the only one who says no to my kids! And love the info about you! Sound of Music is one of my favorites also because I remember watching that with my dad. He grew up in Germany during the war and related to that movie so well! Enjoy your weekend! Hi Dawn, Sometimes that coffee makes it all better, sometimes it doesn't ;). Anyway, good read and I love stopping by your blog every weekend! 🙂 Heather From and Mommy Only Has 2 Hands!